To end this, I’d like all of you to give a message to the readers. We’ll start off with Yamagami-san. I think that there’s an image of the games that PlatinumGames create as being a bit too hard. But since we did Nintendo tuning with it, even players who aren’t very good at action games will be able to enjoy this one. If anyone thinks that their games are too hard, you don’t have to worry about that here, so please pick up the game, and enjoy all the different Unite Morphs. There’s also a mode to satisfy all the users who are confident in their skills. That’s right. We’ve also prepared a really hard mode that should probably be called ‘A challenge from Kamiya.’ How hard is it? 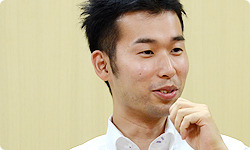 Probably only Kamiya-san and the super debuggers from Mario Club are able to beat it. No, Kamiya can’t do it. It was so challenging, I asked Kamiya-san to help us out with the debugging process, but he said he couldn’t do it. So as you can see, we’ve prepared all kinds of levels of difficulty, including a really tough one. We also have a feature that allows you to change the difficulty level for each stage if you decide it’s too hard or too easy. We’ve really made something that will be fun to play, so you can all rest assured. So your message is, “Don’t be scared. 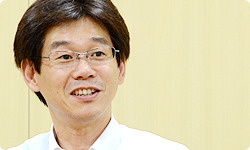 But I’m not saying we made the game easy.” How about you, Matsushita-san? PlatinumGames, especially Kamiya-san, are really about giving their all to entertain the players. There are a lot of different kinds of gameplay packed in. There’s even a level that features gameplay from a Nintendo game. The game also has a multiplayer mode for up to five people. You can enjoy the game in a very different way with your friends and family, so if you buy the game, don’t forget to invite people over to play with you. Yes, do try out multiplayer mode. 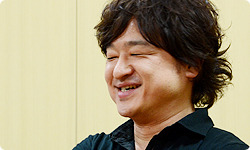 Inaba-san, having seen the game’s development, what parts of Kamiya-san show through most in the game? Hmm, good question… Well, it’s the same as always, actually. He does his self-centred thing and everyone just gets on board. I can see it now. Everyone complains as they’re trying to keep up with him, but they’re all smiling. (laughs) And there’s always this element of surprise with him, and what he comes up with. I feel like we were really able to pack in a lot of what Kamiya wanted in this game. We really felt strongly about getting The Wonderful 101 out there, and considering that the situation has been pretty unstable for a long time, I’m really proud that we were able to get to this point. Don’t point to that first project plan, I’m still not going to show it. 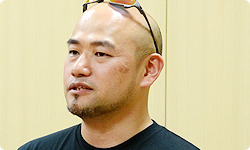 And finally, Kamiya-san. 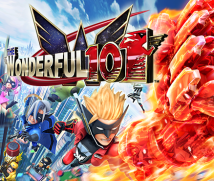 What would you like to tell everyone about The Wonderful 101? The thing I want to tell them most is really the same thing that Yamagami-san just said. Don’t be scared. There really aren’t any games like this out there, so I think it’s hard to envision what the game will be like. That’s true, there aren’t any games like it. So I think that a lot of people may end up just saying “I don’t get what kind of game it is,” even if they had some interest in it. But if you think there might be something fun in it for you, I’d like you to trust your own curiosity, and just jump right into the game. It’s a once in a lifetime game, I think. There are a lot of games that I’m glad I played, and I know that this game will be one of them for you. The story itself is also very intense and passionate. I can’t go into detail about that because there are parts I want people to see for themselves as they play. Did the storyline come from you, Kamiya-san? Yes. The game is about superheroes, so I used my chuuninou19 to the fullest, and made something that people could really get into. As for the details, we’ll leave it to the players to look forward to when they play.19. Chuuninou (“brain of a second-year junior high student”): The word is a play on chuunibyou (“second-year of junior high syndrome”), which refers to the self-conscious actions or behaviours often seen in adolescents around their second year in junior high school where they envision unrealistic things that happen in anime and comic books. Yes. 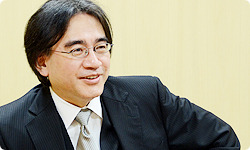 The most interesting thing for me about this session of Iwata Asks was being able to talk to Kamiya-san about how he creates things. And it also became clear that The Wonderful 101 is a game that could only have come from a collaboration between PlatinumGames and Nintendo. There was a really unique, incredible amount of energy that I’ve never seen before that went into this game. And I’m sure people who have seen the videos will feel it as well.But on the other hand, there are a lot of people who are scared or hesitant about things they’ve never seen before. So I also want to tell people, “If you feel something instinctive about this game, please take the plunge.” The game’s demo20 is also available, so I urge people to try it out.20. Demo: A free demo of The Wonderful 101 is available to download now from Nintendo eShop on Wii U.
Iwata-san, I forgot to mention something really important about the scenario. Can I talk about it now? It’s about the game’s title. It started out as The Wonderful 100, but then we changed it to The Wonderful 101. We decided to change it after Yamagami-san suggested we add a one. Yes. When I first heard the title, I thought “One hundred is a really forgettable number.” But PlatinumGames felt really strongly about using the number 100. So I tried a different approach and suggested we use 101. When I heard that suggestion, it hit me that I could use it in the scenario. As we showed the 100 change to 101 in the first promotional video, it perfectly matched the approach to the scenario. So I was convinced on the spot. I just got it, I guess. That moment really stuck with me for some reason. Kamiya-san really made good use of that keyword of 101 in the scenario. Remembering it just gives me goosebumps. I really thought, “Oh, this all fits together perfectly!” That feeling you get at moments like that are the best parts of my job. It’s just like in part one of our interview where Kamiya-san said “someone said something during the meeting, and it just clicked”, or “I looked at his screen and all of a sudden, I could just see it.” You’re able to just work off people like that. Yamagami-san told you his idea, and suddenly you just had it. In that way, this experience has brought home to me all over again that you need a team to make a game. And after all, The Wonderful 101 is a game about a team. You’re quite right. Thank you all for coming today.